Given the location, the stunning beaches and waterways, restaurants, shops, entertainment and other great amenities, it’s no surprise that Broadbeach luxury apartments are in demand. There’s a few to choose from, too. So, when you’re searching for ‘the one’, what makes the Phoenician Resort stand out? We believe the Phoenician Resort has quite a few points of difference with other comparable resorts, including location. We think it’s perfect: right on the beach, walking distance from cafes, restaurants, shops and entertainment, yet peaceful and private, too. And, it’s right across the road from the Gold Coast Convention Centre so, if you’re attending an event there it’s a no-brainer. Another reason guests love the Phoenician Resort is the value for money. These are amongst the very best Broadbeach luxury apartments yet it’s still possible to snap up really good online deals. You won’t believe the savings to be had and, right now, you can also get free unlimited wi-fi. When it comes to the apartments themselves, the difference is space. Take the 2-bedroom apartment, for example. There’s a gorgeous master suite with its own private bathroom, plus a twin-bedded room plus another bathroom. That’s just perfect if you’re travelling with the kids but still want some quality ‘you time’. What’s more, Phoenician Resort apartments also offer spacious living areas, so you can really spread out and relax; it’s so much better than squeezing into a hotel room! And don’t forget the kitchens are real kitchens, fully equipped with everything you need. This can be a lifesaver – and a money-saver – if you have children with you. 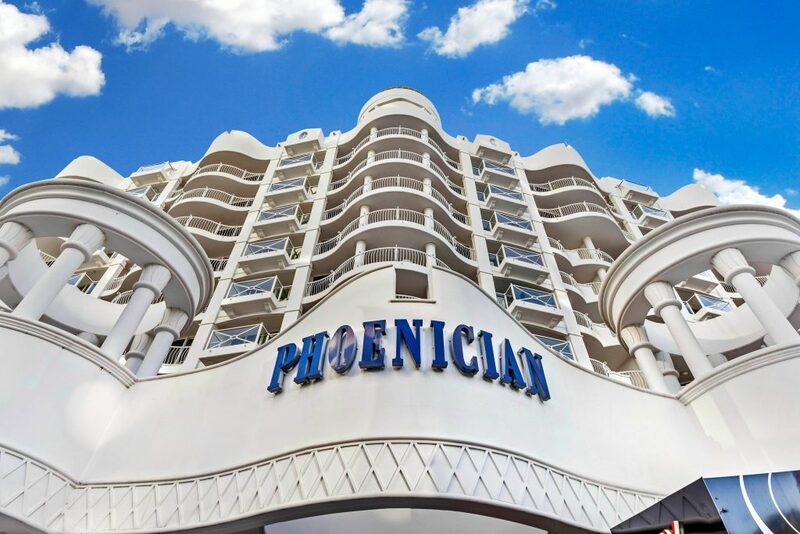 Business travellers appreciate the level of security at the Phoenician Resort, whilst everyone loves the facilities, which include both indoor and outdoor pools, sauna, spa, gym, games room, BBQs, tour desk, secure undercover parking and more. And did we mention how easy it is to reach the resort, by road, rail and air? Yep, there are plenty of reasons to always book the Phoenician Resort.